NORTH RIDGEVILLE, OH (WOIO) - Night shift officers with the North Ridgeville Police Department went above and beyond for an elderly resident who had to be hospitalized on Friday evening. 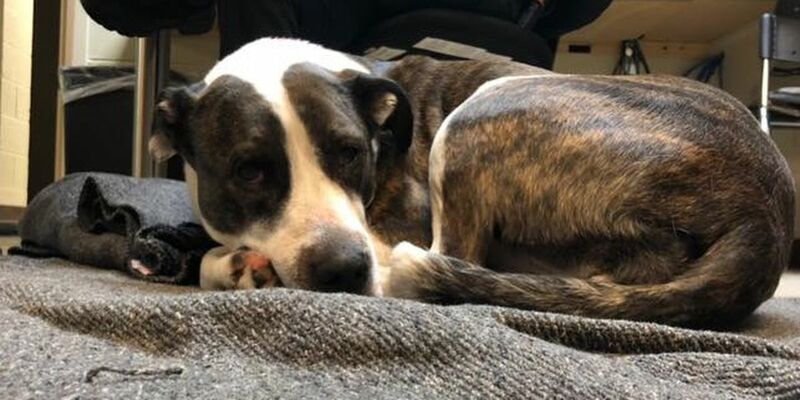 With nobody around to care for the resident’s dog, Jasmine, police decided to take custody of her rather than dropping her off at the county pound. Initially they tried to kennel her in the garage, but Jasmine was not having it and the decision was made to bring her inside. After the initial stress subsided, she settled in and made herself at home. On Saturday morning officers found a member of the resident’s family to take custody of Jasmine. “Hopefully we didn’t spoil her too much,” NRPD said via Facebook. Looks like she was spoiled just enough!